Longtime supporters of diesel engines, European governments are rapidly turning their backs on these clattering powerplants. Now, a study published by the International Council of Clean Transportation finds that modern oil burners might not be anywhere near as clean in the real world as manufacturers claim, at least when it comes to emissions of nitrogen oxides (NOx). To find this intriguing result, this study eschewed traditional lab testing and instead analyzed several previous vehicle evaluations using portable emissions measurement systems (PEMS). The equipment in the models provided a constant stream of data, including speed, acceleration, various chemical outputs and even road gradient. In total, the researchers scrutinized 15 modern diesel vehicles with 12 from Europe and 3 from the US and a cumulative 3,977 miles of driving. Confirming previous criticism of the current method of emissions testing, these vehicles showed NOx levels around seven times higher then the Euro 6 standard, and this happened during normal driving like just going up hills, according to the ICCT. "There is substantial evidence that the actual, on-road emissions may not be sufficiently controlled under certain operating conditions that are not covered by the laboratory test," the study said. The current emissions reducing techniques for diesel engines weren't found entirely flawed, though. 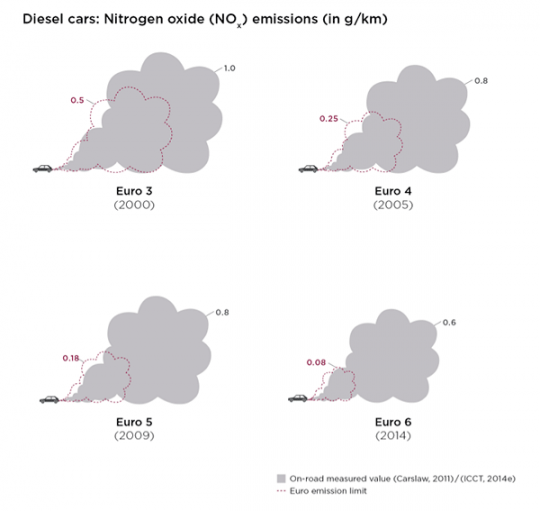 While NOx was far above mandated levels, carbon monoxide and total hydrocarbons were below the Euro 6 limit. 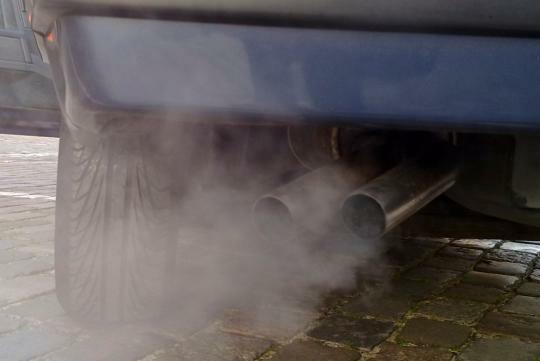 Soon, the EU is moving towards real-world emissions testing in a similar style to this study. The researchers here have a stern warning to automakers: start developing better NOx equipment right now. They believe the current control method "is also unlikely to be sustainable after PEMS testing is introduced for the type-approval of passenger cars in the EU in 2017." The entire study can be read in full here in PDF.